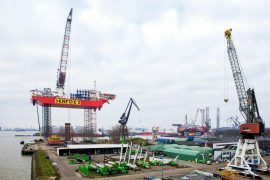 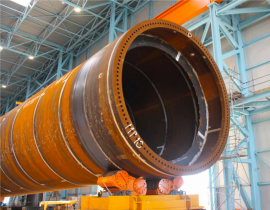 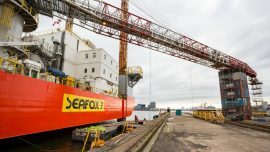 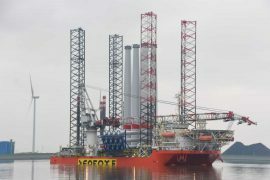 The Seafox 5 jack-up has left the Port of Eemshaven in the Netherlands loaded with the first set of turbine components to be installed on the 396MW Merkur offshore wind farm in the German North Sea. 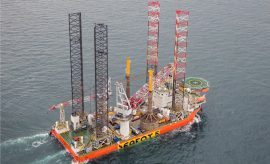 The 151-metre, self-propelled, DP2, jack-up rig Seafox 5 has left the Damen Verolme Rotterdam (DVR) shipyard following a four-month refit. 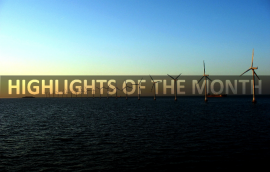 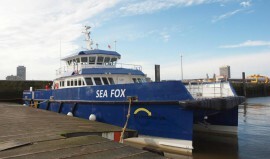 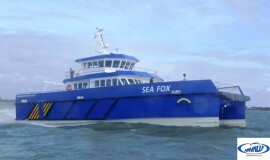 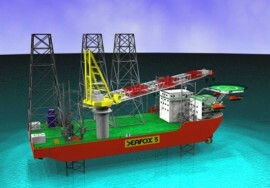 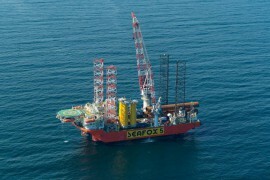 Seafox informed today, 1 December, that it decommissioned two Forewind’s Dogger Bank meteorological masts at the end of September, together with Ardent as the main subcontractor for the works. 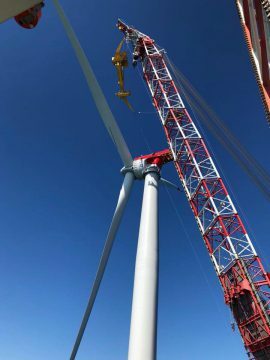 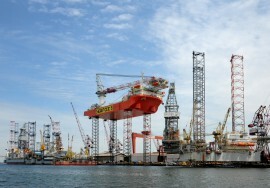 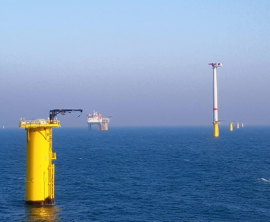 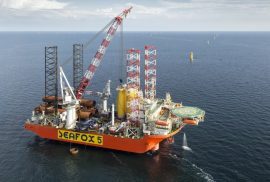 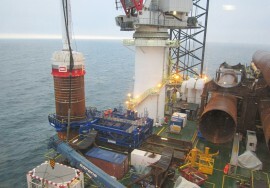 The Seafox 5 jack-up rig has installed the tower and the nacelle of the first GE Haliade 6MW wind turbine on the 396MW Merkur offshore wind farm in the German North Sea. 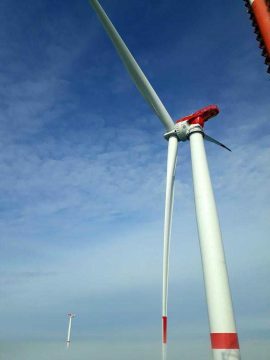 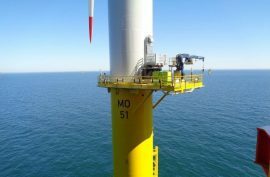 The last of the 66 GE Haliade 150-6MW turbines has been installed at the Merkur offshore wind farm in the German North Sea. 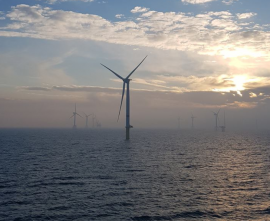 22 out of 66 GE HaliadeTM 150-6MW turbines have so far been installed on the Merkur offshore wind farm in the German North Sea, Merkur Offshore GmbH reports. 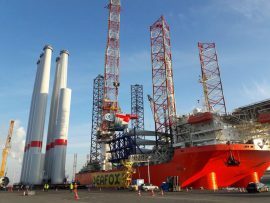 The first batch of 30kVA power generators built by Eqin for the Merkur offshore wind farm’s turbines is now in place, the Dutch manufacturer said. 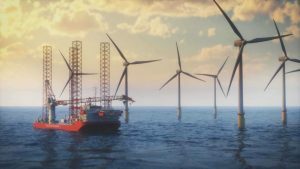 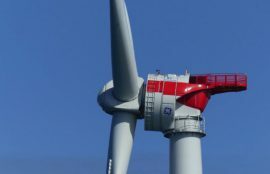 GE Renewable Energy has hired specialists from RTS Wind AG to work on the 396MW Merkur offshore wind farm, which marks the first cooperation between the two companies. 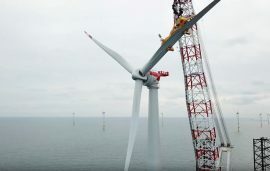 The first of the 66 GE HaliadeTM 150-6MW wind turbines has been installed on the 396MW Merkur offshore wind farm in the German North Sea, Merkur Offshore GmbH reports.